The fully mature 2001 exhibits aromas of tapenade, bay leaf, licorice, red and black currants, damp earth and new saddle leather. 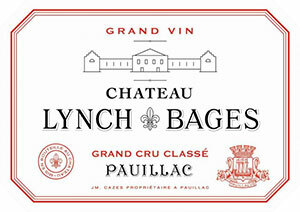 Medium-bodied and atypically elegant and charming for a Lynch Bages with soft, fully resolved tannin and a moderately long finish, it is much lighter than a great vintage such as 2000. Tasted blind at Bordeaux Index’s 10-Year On horizontal. The first bottle of this was denuded of vitality and out of sorts (indeed this is a major problem with this vintage.) Not corked, but previous experience old me that it was not “happy” bottle. Fortunately I stayed for another to be opened and this far more representative. Ripe, dark berried fruits on the nose with touches of mulberry, briary, graphite and sous-bois. The palate is medium-bodied with a crisp entry, tarry black fruits on the entry, sharp acidity, very tight but that is probably because this bottle had just been opened. Very fine. Tasted March 2011.